The Steam game platform has launched on the Mac platform today. On subsequent Wednesdays, additional collections of Mac titles will become available, each designed to highlight specific functionalities of Steam on the Mac. The first collection of Mac titles will demonstrate "Steam Play," which allows customers to purchase a game once and play it on all Steam supported platforms. Gamers who have previously purchased games on Steam will find them available in their account on the Mac as they are released. Portal, in addition to supporting Steam Play, will be the first of Valve’s Source engine based games available on the Mac. Native OS/X support for the Source engine is also available immediately to licensees for use in their games. Among the initial titles available on Wednesday will be Runic Games’ critically acclaimed Torchlight. 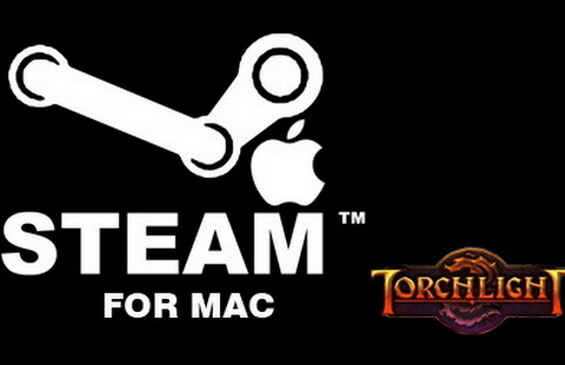 "We’re very excited to be bringing Torchlight to the Mac," said Max Schaefer, co-founder of Runic Games. "Having Steam for the Mac solves so many problems for us as a developer. We look forward to our future games coming out on the Mac as well."